Insomnia is most commonly treated with various pharmaceuticals, but these drugs cause numerous side-effects and actually cause more harm than good. On the other hand, acupuncture is another alternative as a natural solution to this problem, and it does not cause harsh side-effects. Insomnia can be caused by various factors, but it affects millions of people. The Traditional Chinese Medicine (TCM) believes that each person should follow an individual pattern which indicates the imbalance in the body. This imbalance is treated with the use of needles inserted at certain points on the body, which are located along multiple meridians throughout the body. Insomnia can be treated with the help of 2 acupuncture points, known as Heart 7 and Pericardium 6. These points are closely related, and their combined treatment does miracles when it comes to sleep. At the TCM, this point is also known as Shenmen, which means Spirit Gate, while the name of Pericardium 6 is Neiguan, meaning Inner Gate. Both of these gates should be wide open and release all the negative energy accumulated in the body, and attract positive influence inside. This point is located on the anterior side of the transverse crease of the wrist, just on the small depression on the radial side of the ulnar tendon. However, it is often better for the patient to needle it point from the ulnar side, just under the ulnar tendon, and you will get the same effects. This point can be found on the anterior side of the wrist, at 2- finger widths from the transverse crease of the wrist, or in the place between the two tendons (palmaris longus and flexor carpi radialis) which run up the arm. Both of these points, when activated, cause a strong and intense radiating sensation up the channels. If you are one of those who struggle to fall asleep every night, then, these two points can restore your sleep and help you get the rest you deserve! 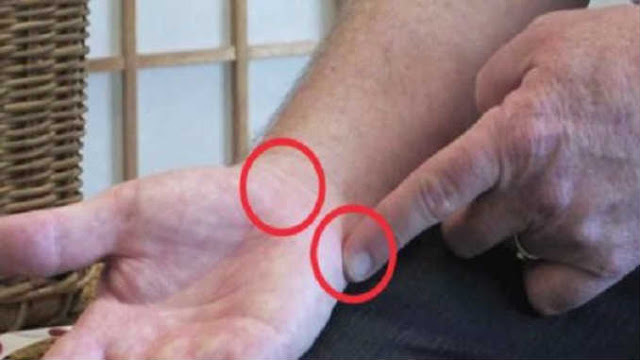 These two points are only a small part of an entire structure of acupuncture points, whose stimulation can provide incredible health effects, as the full mind-body-soul approach can help you heal and prevent various health problems.